CMOH, Birbhum invited applications for recruitment to the post for Medical Officer, Counsellor and other. The candidates eligible for the post can apply in the prescribed format on or before 31 May 2017. Last Date of Application: 31 May 2017. Accounts Personnel for Block/Hospital: candidate should have Bachelor’s Degree in Commerce and should have knowledge of MS Word/Excel/Power Point/Internet Browsing and Accounting Software with minimum 3 years experience. Male Counsellor: Graduation in Psychology/Social Work/Sociology/Anthropology/Human Development. Social Worker for NRC : candidate should have Bachelor’s Degree with 1 year Diploma in Computer application. Programme Associate RBSK : candidate should have Bachelor’s Degree with 1 year Diploma in Computer application. Technical Supervisor, Blood Bank: candidate should have passed 10+2 with Physics, Chemistry, mathematics, and Diploma in Medical laboratory technology from a recognised institute. 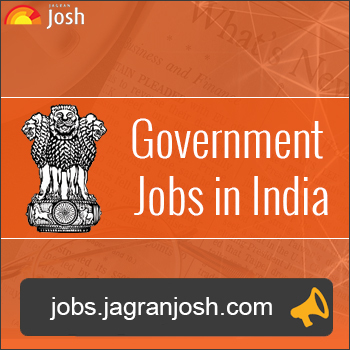 District Consultant (QA): candidate should have passed MBBS/Dental/Ayush/Nursing graduate with Master in Hospital Administration and 2 years experience. Eligible candidates can send the applications to ‘Office of chief Medical Officer of Health (DPMU Section), New Administrative Building, Old Out Door Campus, Po Suri, Birbhum, WB. The Last date of submission is 31 May 2017.